Squaw Valley Ski Resort will host Freedom Fest from July 1-4, with four days of riding and a fireworks show on July 3. After a blockbuster winter, the skiing and snowboarding seasons are winding down, with only a few chances left to get on the mountain. Powdr Corporation, which operates Boreal Mountain Resort and Woodward Tahoe will wrap up the winter season with its annual Summer Shred on Saturday, July 1; while Squaw Valley Ski Resort will remain open for its final full weekend of riding, with a fireworks show and live music as part of the resorts Freedom Fest. The Summer Shred at Boreal Mountain Resort and Woodward Tahoe will provide riders who enjoy flashing their skills in the terrain park one final opportunity to catch air or slide down a rail. The resort’s Castle Peak chairlift will be in operation from 10 a.m. to 3 p.m. on Saturday, July 1, with Woodard Tahoe’s facilities open during those same hours. Cost to ride Boreal one final time this season will be $29 if purchased online, or $34 if purchased onsite. The resort is also offering a free lift ticket to anyone purchasing a 2017-18 pass, which will be at its lowest price point for the upcoming season. Prices of season passes will go up after the weekend. 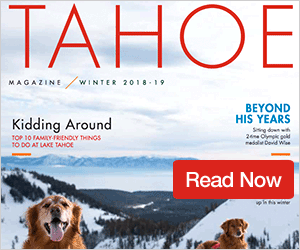 Aside from Squaw, Boreal is the “only other game in town with a public shred day,” said Tucker Norred Marketing and Communications Manager for Boreal. Norred said the festivities will also include food, a beer garden, and a disc jockey spinning music all day. 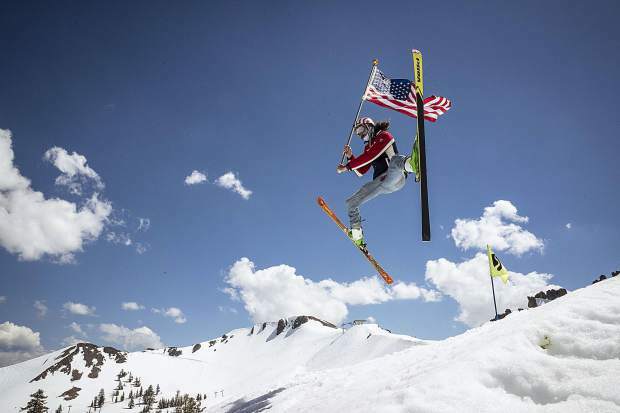 Squaw Valley Ski Resort will turn on their lifts for its final full weekend of skiing, running from July 1-4 as the resort hosts Freedom Fest. Along with the slopes being open, Freedom Fest will include three days of live music, along with a fireworks show on July 3 at 9:20 p.m.
Riders who have purchased a 2017-18 pass from Squaw will be able to get on the lifts for free, with individual lift ticket prices varying. 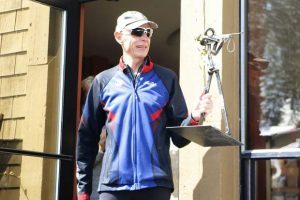 Lifts will run from 8:30 a.m. to 2 p.m., and according to Public Relation Coordinator Liesl Kenney, the upcoming Fourth of July will be just the fourth time the resort has ever operated on the holiday. The last time Squaw was able to stay open this late in the season was during 2010-11. Squaw’s festivities will be capped off on July 3, with free music by Bonfire Dub featuring Bridget Law of Elephant Revival, and Big Head Todd and the Monsters, followed by a fireworks show. Music will begin at 4:40 p.m. and will run through 9:20, which is when fireworks will get underway. 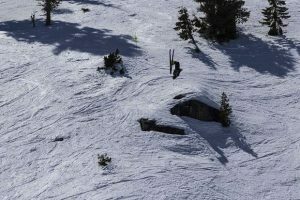 In addition to this weekend’s skiing and snowboarding, Kenney said Squaw Valley will also be looking at the possibility of having one more day of riding on Saturday, July 8. For more information check out squawalpine.com.